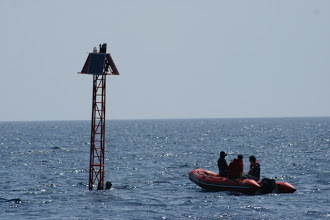 Before taking the lead of Curtin's RSSRG, D. Antoine had established a long-term time series of optical measurements at a fixed open ocean site in the Mediterranean Sea. This project started in 1999 and is still ongoing thanks to continuing support from the European Space Agency (ESA) and the French space agency (CNES) in particular. Curtin RSSRG, via D. Antoine, remains Principal Investigator for this project. 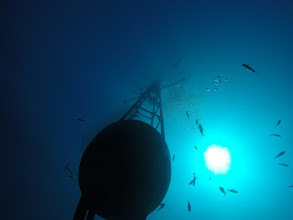 This activity is named BOUSSOLE, which is a French acronym for “Buoy for the acquisition of a long-term optical time series”. 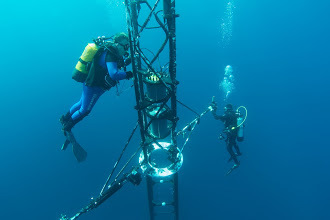 It is all about research in marine optics and bio-optics, system vicarious caliration of satellite ocean colour sensors and validation of the geophysical products from these missions.